Unlike Sharm El Sheikh, Hurghada hosts a wider range of Nationalities with regards to Tourism along with being a much bigger resort and often considered a lot better value for money. Sitting on the opposite side of the Red sea, Hurghada has developed on a grand scale since being a small fishing village and now host luxury Hotels, great atmosphere with more than enough activities and fun things to do, A wide range of Restaurants and coffee Shops within up to ten districts, all with a short distance from each other and the main Airport. Our Partner 5 Star Hotels are all within the main attraction areas with their own private beaches and ample facilities and leisure activities. Located in the Old Sheraton Road (or El Corniche Road) district of Hurghada and right next to Old Village Road and El Mamsha Promenade, the Marriott Hurghada is the most luxurious and grand Hotel in the area. A lovely resort with shops, restaurants and bars directly opposite the Hotel with its own Private beach, Tennis Courts, and deluxe guest services. A Marriott Hurghada is a partner Hotel which memphis Tours is proud to be involved with. Considered the best area of central Hurghada for being close to many attractions, shopping malls and Red Sea activities such as diving, boat trips and desert safaris. In one of Hurghada’s most outstanding locations known as Sahl Hasheesh, stands the magnificent Oberoi Sahl Hasheesh Hotel. Most certainly the best location for total relaxation, pampering and sheer luxury at this 5 star retreat. Only 30 minutes from Central Hurghada, it is close enough for day trips and adventures, yet at the same time a good distance away for peace and quiet. Quite literally, the Oberoi Sahl Hasheesh is one of Memphis Tours finest and newest partner Hotels with a wonderful record of guest satisfaction.Location means that tours are available for several destinations to which Memphis Tours will be happy to assist you with. As with their sister Hotel in Sharm El Sheikh, the Baron Palace Sahl Hasheesh has an outstanding reputation and record with clients for luxury and 5 star service. Most certainly the best location for total relaxation, pampering and sheer luxury at this 5 star retreat. Only 30 minutes from Central Hurghada, it is close enough for day trips and adventures, yet at the same time a good distance away for peace and quiet. As a Partner Hotel, Memphis Tours are honoured to be associated with them and in such a pleasant and luxurious location as Sahl Hasheesh. 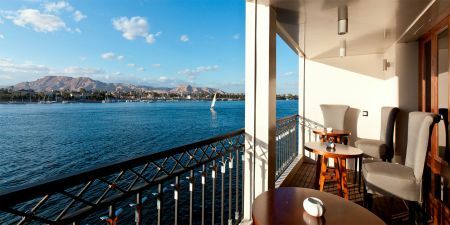 Situated at the end of Hurghada, the Sonesta Pharaoh Beach Hotel is nestled along side all of the other top 5 star rated Hotels in the area, a 5 star Hotel set next to Shaab Abu Ramada/The Aquarium, Giftun Islands and Diving Ocean Makadi Bay.It is well withing reach of the very popular Mahmaya Island. Many opportunities locally to participate in wonderful Red Sea Diving adventures and relaxing boat trips for sunbathing, swimming and relaxation. Our Partner hotel Sonesta Pharaoh Beach will promise you a relaxing stay with all the comforts you need.